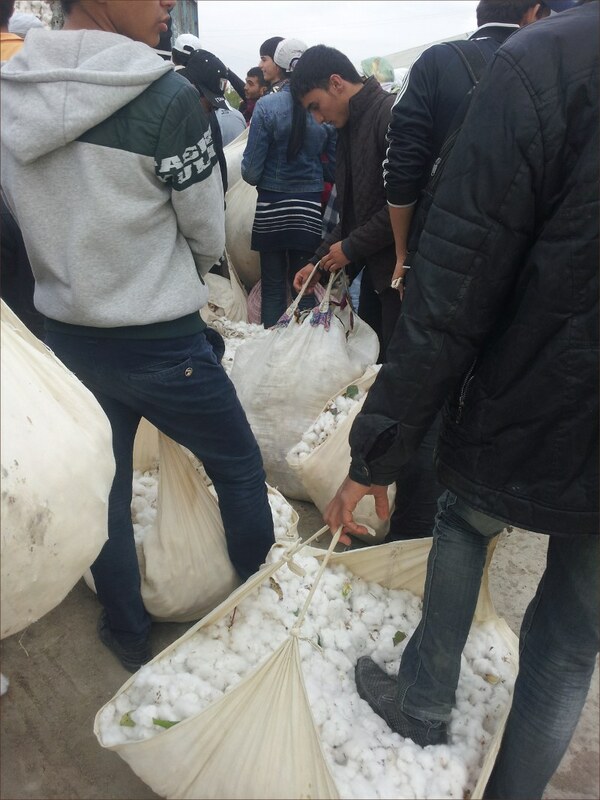 Children in Uzbekistan grow accustomed to thinking that cotton is the national treasure and the government needs help in harvesting this valuable commodity; otherwise there can be no salaries, pensions, and other social benefits. But the reality is completely different. The Uzbek-German Forum (UGF) administered an array of researches into the facts of forced labour on cotton fields in Uzbekistan. We mostly concentrated on the human rights aspect of the issue. 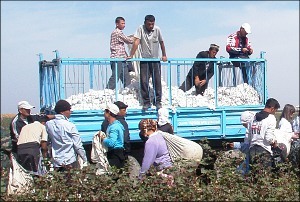 The main finding of our research is that the cotton sector of the Uzbek economy is based on the following. First, forced labour of farmers, who are forced into cultivating cotton and selling it to the government at its fixed rate, which itself is a form of forced labour. 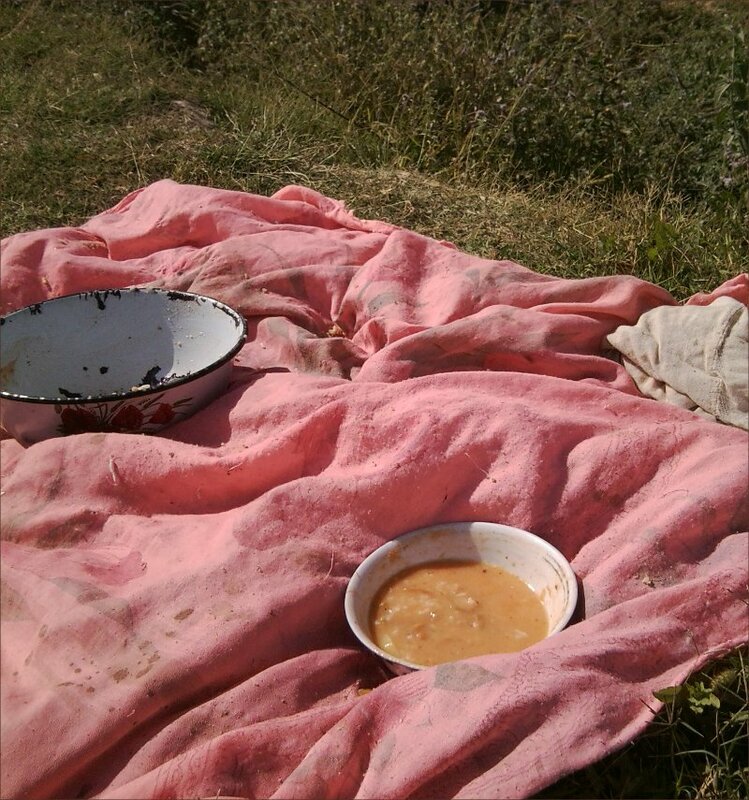 Second, the authorities force citizens—primarily employees of state-funded organisations and institutions, students, doctors, etc.—into collecting cotton; private business is not spared either. Extortion, which morphed into a state policy, is yet another major component in the cotton sector. The levels and scales of extortion as part of the cotton-picking campaign are enormous—the entire cotton sector is permeated with various corruption schemes and illegal mechanisms for personal enrichment on the part of officials in charge the Uzbek economy’s cotton sector. According to a research the Open Society Foundation administered, revenues generated from selling cotton are accumulated in a special account called Agrofund, which is not part of the state budget and can only be accessed by a very small number of high-ranking officials. I must touch upon an important change that took place in the cotton-picking season last year: for the first time in many years, children under 18 years of age were not engaged en mass in cotton-picking. I hope that Uzbek nationals also noticed this change, which became possible only thanks to the fact that a handful of journalists and rights advocates wrote and spoke out about the problem of forced labour in Uzbekistan for many years in row. They raised this issue so often that significant actors such as the European Union and the International Labour Organisation could no longer ignore it. In other words, our Uzbek children’s rights were advocated for and defended by foreigners, which Uzbek officials head by Prime Minister Shavkat Mirziyayev could only think about spending less money on cotton-picking even if that meant forcing frail child hands into picking raw cotton. Such an attitude, perhaps, could only be explained by an unexplainable hatred towards the common citizen. But can this still be called a progress? To compensate for children’s labour, the government engaged more adults in 2014 than ever before. For instance, if only two-three years ago we established that each organisation, school or hospital would send 15% of its workforce to cotton fields, this number was 50-70% last year. i.e. this many people forcibly left their workplaces to pick cotton. The Uzbek-German Forum is a Germany-based non-profit organisation. The UGF aims at improving respect for human rights in Uzbekistan, and empowering this country’s civil society. The Forum is a member of the Cotton Campaign, a global coalition of human rights, labour, business and investor organisation united to end forced labour in the cotton sector in Uzbekistan. Throughout many years we called upon the Uzbek government not to engage children in cotton-picking so they could continue studying and acquiring knowledge. However, leaving children in schools is not enough—they need teachers as well. Otherwise, children would nominally “study” as it happened during the 2014 cotton-picking season: schoolchildren were mostly deprived of quality education simply because the majority of teachers were on cotton fields harvesting said crop. It is obviously difficult to qualify as studies as normal, when a history teacher teaches arithmetic. The fact that the government sees charge-free labour force in teachers for various tasks has already brought about almost irreparable degradation in children’s education. The entire society is subsequently slowly and latently degrading making the situation simply catastrophic. The government now needs enormous resources and human potential—which is already lacking in Uzbekistan—to restore the system of education. This means that the entire Uzbek society may be on the brink of indelible degradation. The other finding of our research is that corruption is one of the causes of forced labour in Uzbekistan. Officials at various levels benefit from the system of forced labour because enforcing it allows collecting cotton harvest with minimum resources on the one hand. On the other, forced labour is an excuse to extort money from citizens. Scales of extortion during the cotton-picking season are simply astonishing. For instance, each cotton-picker has to collect a certain amount of raw cotton a day. If this person is unable to collect that much, then s/he simply pays for the uncollected kilogrammes to avoid public insults and other troubles that will be inflicted by officials. 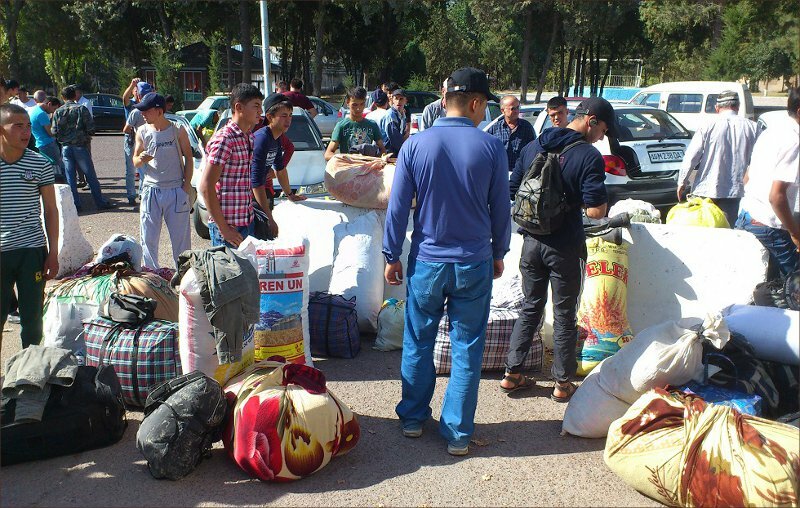 Despite the fact that forced labour is economically disadvantageous and irrational, which clearly goes against the normal business rhythm of state and other institutions, Uzbek officials are interested in keeping people on cotton fields as long as possible. People resort to any means possible to free themselves from all this. This [corruption scheme] leads to a situation where significant amounts of money are given to officials and other supervisory bodies in the form of bribes to exempt people from cotton-picking inevitably leading to deepening of poverty in society. Allow independent human rights organizations, activists, and journalists unfettered access to investigate and report on conditions in the cotton production sector and for the International Labor Organization (ILO) to survey and monitor labor practices with the participation of the International Organisation of Employers (IOE), the International Trade Union Confederation (ITUC), and local independent civil society. Reform the cotton sector including by: o enforcing national laws that prohibit the use of forced and child labor and vigorously prosecute non-compliance o ensuring financial transparency of expenditures and revenues, or ending mandatory cotton production and harvest quotas while ceasing in the meantime to penalize farmers who do not fulfill cotton quotas, o raising and eventually freeing procurement prices, and de-monopolizing agricultural inputs and the cotton sales markets. Grant access to the country to the Special Procedures of the UN Human Rights Council and issue an invitation to the UN special rapporteur on Contemporary Forms of Slavery.